During his first two years in office, Europe has become one of Donald Trump's favorite punching bags. The Europe-friendly Washington establishment appeared powerless to restrain him. At times, Trump behaved as if he were determined to force regime change in Berlin and London rather than in Pyongyang or Moscow. Now that Trump lost his total grip on Congress, many in Europe are hoping for a softer tone from the White House. But some are skeptical, like Corinna Hörst, Senior Fellow at the German Marshall Fund in Brussels. "Trump will continue his nationalistic, sovereignty-first sort of agenda and he will continue to use very racially-charged language, very nationalistic language. Certainly Trump will not change his view on the climate deal, he will not change his views on multilateral organizations or Iran. So that will be more of the same." 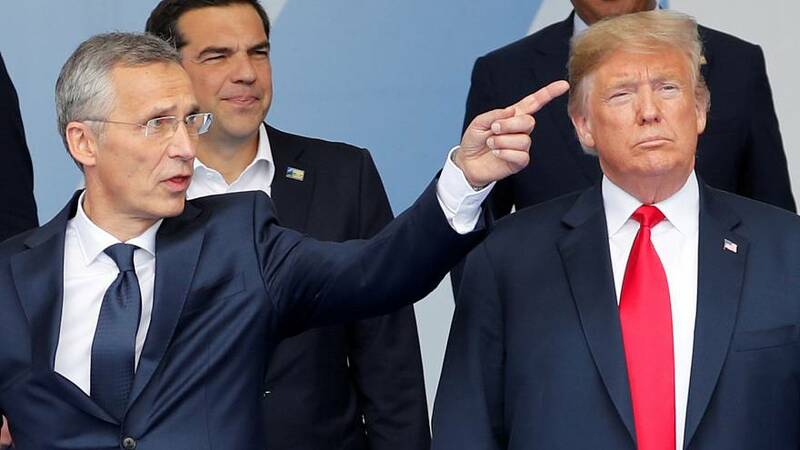 Following Trump's unfriendly attitude towards Europe on issues like NATO or tariffs, France suggested that this should be an incentive to bolster European unity. Shada Islam, Director of Europe and Geopolitics at Brussels-based think tank Friends of Europe, goes even further. "We cannot disengage from the United States, but that does not mean that we should not engage with other partners. And that's why it's so important that we're engaging and reaching out to Canada, to Japan, to China which is not our enemy, which is not a strategic competitor for us. We can work with China, if we keep our eyes open and do it in a correct way." Whether the transatlantic partnership is an unbreakable bond, the next two years will tell.